So i'm looking into building a khorne force for sigmar and I REALLY like the skullreaper and the mighty lord of khorne models. I know there is a battalion with skullreapers in it, but i'm not sure what's the most efficient way run them in a 2000 point list around them. Any suggestions? Alright lads! 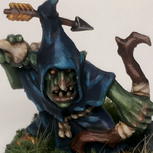 So with a new tome having been released, I've managed to catch the painting bug again! This time I want to focus on getting all 2000pts of my Khorne army completely finished. Recently picked up the Skulltaker, Tome, Judgments, Skull Altar, and Warscroll Cards upon release, and painted up the Skulltaker as soon as I primed him. Such a fun model to paint! Current list of stuff that needs painting: - 2 Slaughterpriests - 1 Bloodthirster - 9 Mighty Skullcrushers (Only have 3 atm so will be saving those till I get the other 6, by far my favourite models!) - 10 Flesh Hounds (Still need to buy these) - 1 Bloodstoker - 30 Bloodletters (Still need 10 more) - Wrath Axe, Hexgorger Skulls, and Skull Altar Heres hoping I dont get any painters block or lose that painting streak! Thanks to all of you who pop by and have a look at what I have, and will paint! Hey everyone, New player to AoS here (coming from 40k). 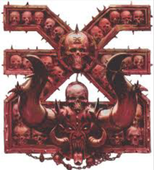 I'm getting into Khorne with their new tome update. I'm needing some help with what is looking to be a good competitive list considering the changes in the new book. 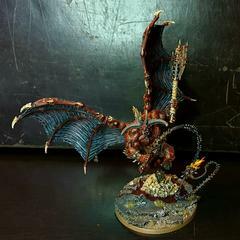 I currently own a unit of Bloodletters and a Daemon Prince with Wings and Sword. I know about the essential Bloodsecrator/Slaughterpriest package that almost every army needs. But could someone help me figure out what would a be a good competitive starting point or both a 1K and 2K list? I don't have any preferences really on what I run other than I dont want to just spam the ****** out of Bloodletters and Bloodreavers and have 100 battle line models. Units I do like though are any thing Daemon, Khorgoraths, Bloodcrushers/Skullcrushers, Warmongers, Blood Warriors. Thanks for any help! So I decided on a Khorne (mainly daemons) army, and I’m going for a sort of blanchitsu/aos28 type paint scheme. This is what I have settled on for my Bloodletters. 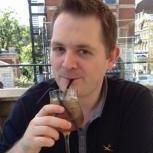 artefact Do set-up-keywords allow to use keyword-artefacts ? I can't figure out in the rules, when is the artefact chosen ? During the set up or before the set up ? For example, I'm building a Khorne army and want a Lord of Chaos on Manticore. He is a Slaves to Darkness but he gets the KHORNE keyword when set up. So I think he is not considered an ally. 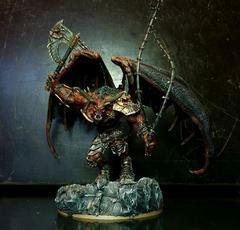 If the artifact is given "before the set up", so we can't give a KHORNE artefact to the Chaos Lord on Manticore, because he hasn't the KHORNE keyword already. If it's "during the set up", so we can give hime KHORNE artefacts, and we can choose a different artefact when we see the opponent's army list. Someone knows more about it ? I just found that we choose the Command Trait after the set up, so he can get it after receiving the keyword AND I can choose it after I see my opponent army. But I can't find this information about the artefact choice. 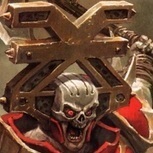 Magore’s Fiends have the Blood Warrior keyword in their warscroll, and I was wondering if that meant they could count as a unit of Blood Warriors to meet the unit requirements of warscroll battalions. Hey guys, while early I do want to discuss this Warband as I have hope for them to fit more into what I'd like to play. Better put the confirmation that they are four models pleases me and the consistent design we have seen so far with highly armoured models is that they have good defences also! While we know the art for the box, I could post it again if people want to see it. 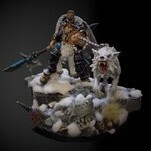 What I hope for this time however is a Chaos Warband with Shield defences and ideally easier acces to Cleave. Let me know the wishlist and as with Garrek's Reavers I'll certainly come back with some deck ideas of my own once we know more! Cheers! I am having a hard time making a Khorne Army, I love the way it looks on paper, but predicting what it does on the board is a whole different ball game. I have lots of synergy, but it all seems weird. Is it any good? Here we go, 2500pts of Khorne... I call it " Frenzied Skullhunters" Leaders: Aspiring Deathbringer with Goreaxe and Skullhammer Blood Secrator Skarr Bloodwrath Skullgrinder Skullgrinder (yes there are 2) Lord of Khorne on Juggernaught Units: 2 units of 3 Mighty Skull Crushers 2 units of 5 Wrathmongers 6 units of 20 blood reavers 2 units of 10 blood warriors Please tell me what you think! I need the feedback! I'm working on a new Khorne list and had a question about how the Slaves to Darkness models fit into the list structure. If I give them the mark of Khorne then they gain the KHORNE keyword. Does this mean that I could take a Lord of Chaos as my General? Going futher down this murder hole, could I give that Lord an item from the Murderous Arrifacts list? The Blades of Khorne battletome says that to pick from that list you need the KHORNE MORTAL HERO keywords, all of which the Lord has. The Forces of Chaos rise. A Chaos collection project. Hi everyone, this is my paint log for my new Blades of Khorne army. I haven't really been interested in the Khorne models until I painted the Bloodreaver warband for Shadespire the other week. I enjoyed it so much that I decided to hunt down the Bloodbound side of the old starter set. Found a guy on facebook and happily traded them for some AdMech I had laying around. The models were already assembled and didn't need that much cleaning up and greenstuff work. I then got started on working on the basing. My plan is to have them based and primed before the weekend, so I can bring them on my vacation to our summer house and have them as my summer project. Of course Khorne needs a lot of skulls for the bases so I used the excellent Skull basing kit from GW and added skulls to the bases. Some I chopped up to make them looks like they where sunken into the ground. I also added some slate to try to match details that are already there on some models and to add some variation to the bases. As the last step I'm covering the base with texture paint, which is more a convenience thing than anything else. As promised, here is a report of the 1000 point doubles tournament I attended last weekend, put on by the AOS Coach, Anthony Magro (beginners especially would do well to check out his youtube channel). I brought a Khorne army and my team mate a Skaven Skyre list. After some brainstorming we settled on the below army lists with a general game plan of castling up, shooting/mortal wounding as many units as we could in order to generate heaps of bloodtithe in the first 2-3 turns, then summon a bunch of daemons and clean up what was remaining. The game plan was solid however it relied on us playing the long game which meant we ran into a little trouble with time as you will see in the below reports. Couple of notes; we had 14 drops between us which meant we were always deploying last and our opponents all had the choice of taking 1st turn or not. Also, whenever I refer to left or right objectives, its always from our perspective of the table. My List: Allegiance: Khorne Leaders Chaos Lord On Daemonic Mount (140) - General - Trait: Immense Power Wrath Of Khorne Bloodthirster (320) - Artefact: Deathdealer Bloodstoker (80) Battleline 10 x Bloodreavers (70) - Reaver Blades 10 x Bloodreavers (70) - Reaver Blades Units 5 x Chaos Knights (160) - Chaos Glaives 5 x Chaos Knights (160) - Chaos Glaives Total: 1000 / 1000 My teammate's list: Allegiance: Skryre Leaders Arch Warlock (140) - General - Trait: Masterful Scavenger Warlock Engineer (100) - Artefact: Vigordust Injector Battleline 5 x Skryre Acolytes (60) 5 x Skryre Acolytes (60) Units 9 x Warplock Jezzails (420) 1 x Warpfire Thrower Weapon Team (70) 1 x Warpfire Thrower Weapon Team (70) Endless Spells Balewind Vortex (40) Aethervoid Pendulum (40) Total: 1000 / 1000 Game 1 vs Idoneth Deepkin + Mixed Order (3 Places of Power – Realm of Hysh) My first time playing against Idoneth and far out they are a little broken aren’t they? Allegiance ability means everyone counts as being in cover 1st turn and you are forced to shoot at the closest visible unit. Defensives Eels, which have no trouble making a 1st turn charge, have a 4+save with a further +1 to save if they charge and ignore rend, meaning you have a 2+ save, ignores rend, 12 wound screen in your face first turn! Then offensive eels, which also have no trouble charging first turn, only need one model in the unit of 6 to be in range for all 6 to unload their once per game mortal wound ability! Oh, and he has a free Gloomtide Shipwreck which he can place anywhere on the table so he sat that on the right hand objective which meant any of our heroes who moved onto it would take mortal wounds (he actually could have brought two shipwrecks for free and placed the second one on another objective however credit to him, he felt that would have been unfair in what was essentially a casual tournament). Meanwhile his team mate brought an Anointed on Frostheart Phoenix with a 2+ save, rerolling 1’s and a 4+ ward save. Anyway I digress… As per the game plan we castled up, using several rings of screens with reavers, acolytes and chaos knights to protect the jezzails and heroes in the centre as we knew those eels would rip us to shreds if they got through our lines. They only had 3 heroes between them so our plan was to sit back and take them out ASAP knowing that if successful we basically couldn’t lose, especially since I could easily summon more Bloodmaster heroes if needed. Our opponents correctly gave us the first turn as only the jezzails were in range of some namarti reavers and elven archers and we failed to delete either unit. Our screens spread out and forward a little while being careful not to allow gaps for the eels to charge through. We kept all of our heroes behind the screen as we didn’t see the sense in sacrificing them now for 1 or 2 points and so scored no VP. In their first turn the inevitable happened and both units of eels made the charge onto our right flank. The Akhelian King moved up behind them but failed his charge (for some reason he didn’t move onto the right hand objective where he placed the shipwreck- maybe he didn’t have enough movement?). The Tide Caster moved onto the centre objective while the Phoenix headed to the left objective but didn’t have enough movement to take it (in my view it was poor positioning on their part as there really was no reason for them not to take all 3 objectives first turn and we couldn’t believe our luck as they only took 1 VP for the turn). He used the Tide Caster to reverse the tides (allegiance ability) which meant every Idoneth unit would strike first in melee throughout the whole of the 2nd round. The eels deleted one unit of reavers and one was just in pile in range of the Arch Warlock which was enough for the whole unit to use their once per game mortal wound spears on him but he rolled terribly and the warlock survived somehow. We won priority in Round 2 and I pulled a sneaky trick J I used a command point on the realm of hysh command ability for one unit (my bloodthirster) to strike first in melee (before doing this I checked with the Idoneth player if they agreed that it would override the idoneth allegiance ability), charged the Akhelian King and wiped him out in one combat! J The skaven shooting combined with my chaos lord was able to remove the defensive eels while a unit of chaos knights counter charged the offensive eels but they proved much harder to remove. Our general thinking was that if we dealt with the eels then the mixed order army posed little threat, apart from the phoenix which we felt we could deal with. On the left the blood reavers and acolytes moved forward as an advanced screen but we didn’t want to engage with that flank at this stage. Where we stuffed up was not going after the Tide Caster on the centre objective however we felt we had time in the game to catch up on points (personally I forgot that he would earn 2 VP next turn for holding it for 2 turns). Their turn 2 and again, for some reason, the Phoenix didn’t move onto the left hand objective, instead flying over the reavers into our midfield with a view to charging our jezzails and heroes next turn. The offensive eels continued to frustrate us by refusing to die while the namarti reavers and phoenix guard accounted for our left hand blood reaver screen. The Tide Caster remained on the centre objective for 2 VP. We won priority for Turn 3 which was going to be big for us. We easily killed the Tide Caster and moved the chaos lord onto the centre objective while I summoned a bloodmaster onto the right hand objective. The Jezzails took 5 wounds off the phoenix and the bloodthirster moved into position to charge it and hopefully take it off leaving only us with heroes for scoring objectives for the rest of the game. Unfortunately as all this was happening the TO advised us that we had 15min left to finish the game! As we could only score 2VP that turn, to our opponent’s 3VP, we needed a 4th turn to overtake them and there just wasn’t time L We called it there and so didn’t have the chance to see if the bloodthirster could take out the Phoenix but were still up on kill points 480 to 350. I don’t feel that there was any intentional slow play at all. Simply a matter of team mates playing together for the first time, having to game plan and sort out deployment on the fly, discussing tactics, etc. Both armies had quite high model counts which contributed and whenever there are 4 players involved instead of 2 you are going to need more time. We obviously felt a little robbed of a win by the time restriction but the reality is this is part of tournament play and something to be accounted before. Regardless of the result it was a fun game with great opponents and it still reinforced that our strategy will work as long as we can speed things up. Game 2 vs Beastclaw Raiders & Stormcast (Better Part of Valour – Realm of Chamon) Correctly assuming the Beastclaw player would want first turn and knowing the stormcast could drop from the skies, we castled up more or less in the same way as game 1, covering our centre and right hand objective and ensuring no room was left for units to set up behind us. Our game plan was to burn the left hand objective in our first turn, force our opponents to burn theirs ASAP and sit on ours for as long as possible. We were sure to put enough bodies on the left (reavers plus acolytes) to outnumber any beastclaw units or deepstriking liberators that made the 1st turn charge. As it turned out only the frostlord on stonehorn made the charge (both the mournfang and deepstriking liberators failed). He removed the Acolytes but the 10 man reaver unit remained safe behind them. The Stonehorn Beastriders made a charge on our right flank (again which we anticipated with a screen of acolytes) while the large unit of Concussors remained in the right corner guarding their objective along with the Lord Castellant. The Liberators holding their centre objective decided to burn it before the Jezzails shot them to oblivion (again just as we had planned). A goblin shaman held their left hand objective but he wasn’t threatened and so they finished with 1VP for the turn. We were pretty chuffed with our game plan and set up at this point. Between the warp fire throwers and a counter charge from some chaos knights we took the Stonehorn Beastriders down to 3 wounds. The Bloodthirster pumped himself up to run and charge and headed for the liberators in the centre with the idea of moving towards the left objective in the following turn and summoning some flesh hounds to charge the lone shaman. He made the charge but whiffed badly on his roles, only killing 2 and copping some damage back in return. The Jezzails killed a mournfang and wounded the other while I held the knights on our left flank back as a screen. We burned our left hand objective for 1VP. They won priority turn 2 and the frost lord promptly ran away from our now burned left objective and positioned himself to charge the knights on our left flank, as did the liberators who had dropped down in the last turn. Over on our right flank the chaos knights and stonehorn continued their battle. The Concussors moved towards the Bloodthirster (they either failed their charge or were out of range) and the frost lord charged and killed the knights on our left. They opted against (or maybe forgot) burning any objectives under their control (I was careful to confirm it was the end of their turn before we started ours) and so remained on 1VP. Turn 2 went as planned for us. We finished off the Stonehorn on the right with magic and warpfire while the Bloodthirster retreated from the liberators towards the goblin shaman and a unit of flesh hounds was summoned to charge him. The chaos lord, now free of combat, ran up our right flank and another unit of flesh hounds were summoned in such a way that they didn’t even need to charge in order to capture the right hand objective. The flesh hounds on the left failed the charge but made their inbuilt reroll and made short work of the shaman. We burned all 4 remaining objectives at the end of the turn for 6VP and an unassailable lead (7-1 to us). As lunch had taken a little longer than expected this game had even less time to run then the first and we were just about out of time at this point even if we had wanted to keep going. We were up on kill points 500 to 490. Again, our opponents were a couple of really great guys and it was another very enjoyable game. Game 3 vs Nighthaunt & Stormcast (Border War – Realm of Shyish) Hard to think of an opponent with more potential movement/deployment shenanigans than this unholy alliance. The stormcast were either up in the sky or preparing to ride the winds (Lord Aquillor and 6 Palladors) while the Nighthaunt could appear from the ground or teleport anywhere on the board via their general’s ability. Accordingly there was no reason for us not to castle up and deny space for them to deploy behind us as we had in the first 2 games. They elected to give us 1st turn to limit the shooting damage of the jezzails for a turn. We were able to shoot and kill 2 spirit hosts but they would soon be brought back. The Bloodreavers were sent running to each side objective while the rest of the castle remained in position, scoring us 5VP for turn 1. Their turn 1, the nighthaunt general healed up the spirit hosts and teleported themselves over to the right hand objective. 20 chainrasps appeared from the ground to sit on their home objective. The Lord Aquilor and Palladors rode the winds all the way over to our right corner meaning they completely ignored the reavers on the left objective. The stormcast also dropped 5 judicators into that corner and we promptly lost the right hand objective with them scoring 3VP for the turn. They won priority turn 2 and took the double turn. We felt like we were in trouble here as the Palladors charged the knights on the right flank and the jezzails. 20 Grimghast Reapers appeared from the ground on the right and also charged in. The knights and half the jezzails were wiped out but they still only earned the 3VP. The remaining Jezzails and Bloodthirster turned their attention to the Palladors and Lord Aquilor. The Bloodthirster breathed fire on the palladors and killed the Lord Aquillor in melee (another handy skull to go with the Akhelian King from Game 1). A combination of mortal wounds from spells and warpfire throwers accounted for half of the Grimghast as well as the Tomb Banshee supporting them from behind. The chaos knights on our left flank moved to the centre in readiness for a charge on the chainrasps guarding their home objective. The reavers on the left objective held firm and we scored another 3VP. They again won priority in Turn 3 and realised they were probably not going to take our home objective now that the Grimghast and Palladors had been decimated. A unit of Vanguard dropped down into the right flank but they had no impact. The nighthaunt general teleported with the spirithosts over to the left objective but failed the all-important charge, even with the reroll. The Bloodthirster killed all but the leader of the Palladors but was severely wounded in return (with help from the Judicators). Being unable to take our left objective meant they again scored 3 VP. As our turn 3 came around the 15min call went up and we knew we couldn’t lose. The knights charged the chainrasps and did well against them but failed to wipe them out. A guardian of Soles was nearby with a command point to ensure they couldn’t fail battleshock. I had accrued 8 blood tithe by this point and had meant to summon some flesh hounds to support the knights but in the rush to finish in time I forgot. Since the knights went first the leader of the palladors was able to kill the bloodthirster which was about a 700 point kill point swing. We scored another 3VP which meant the scores finished 11-9 to us thanks to grabbing 5VP in the first turn. We got smashed on kill points 660 – 920 (see 700 point swing above). This was probably our most enjoyable game, both for the hilarious opponents and because it really could have gone either way, especially when they got the double turn with 6 Palladors behind our lines. We all thought it would have been worthwhile to continue playing to 5 turns however we had to pack up and I’m pretty confident we would have got the bikkies regardless. Summary & Pointers Overall we finished 10th out of 23 with 2 major wins and 1 major loss (the top 7 all had 3 major wins) and were reasonably pleased at our army’s performance and game plan. The biggest lesson was obviously to play faster but that can only come with time, practice and familiarity with your team mate and game plan. If someone asked me for advice before heading to a similar doubles tournament, I would say to plan for playing 3 rounds per game at most, regardless of whether you and your team mate are familiar. I would also give some thought to having as few drops as possible in order to have say over taking the first turn as in a game that only lasts 2-3 rounds, having choice over first turn can have much greater significance than usual. This is obviously a tough call for khorne players as we probably want as many units as possible for as much bloodtithe as possible, however to be honest I didn’t use many points throughout the day. Apart from summoning 2 x units of flesh hounds at the bottom of turn 2 in game 2, the only other thing I summoned was a Bloodmaster. 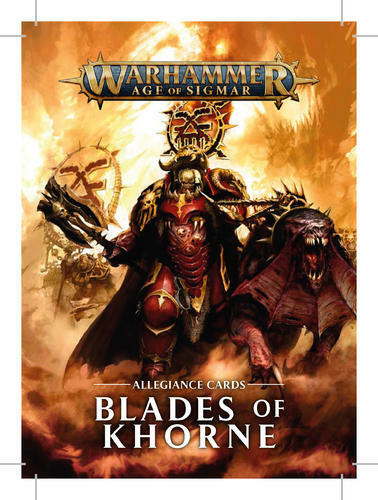 It would have been so nice to be able to use some of the other blood tithe abilities and still keep some points spare for summoning and I really hope GW review how the khorne allegiance works.  Finally a big thank you to Anthony Magro for putting on another great tournament and for Company of Dice for hosting. Highly recommend anyone in Sydney check these guys out as they are only getting bigger and better. BLOOD FOR THE BLOOD GOD! Looking at taking a 1000 point Khorne list to a doubles tournament next month. I don't know who my partner is yet (could even be from a different Grand Alliance) so I'm looking for a utility style list. I normally only play 2000 point games so hoping those with experience in lower point games can share some wisdom. The Scenarios being used are 3 Places of Power, Better Part of Valour & Border War. Being able to hold objectives will be crucial. I generally don't play Khorne without a maxed out Gore Pilgrims and there are some merits in taking a list like this as it generally shuts down the opponent's magic which could really ruin the day of another team. The pod of priests and bloodsecrator screened by the reavers make for good home objective campers (the priests blood boil the ****** out of anything that comes close) while the Blood Warriors get bronzed flesh stacked on them and try to hold a more advanced objective supported by the Khorgorath. I will be sacrificing the Reavers and have the full range of daemons available to summon. The list is definitely weak in 3 Places of Power as none of the heroes have staying power and they generally dont want to move away from each other meaning low flexibility for summoning. The list would look like this: List 1: Allegiance: KhorneBloodsecrator (140)- Artefact: The Brazen Rune Slaughterpriest (100)- Blood Blessing: Bronzed FleshSlaughterpriest (100)- Blood Blessing: Bronzed FleshSlaughterpriest (100)- Blood Blessing: Blood Sacrifice10 x Blood Warriors (200)- Goreaxe & Gorefist10 x Bloodreavers (70)- Reaver Blades1 x Khorgoraths (90)Gore Pilgrims (200)Total: 1000 / 1000Extra Command Points: 1 An alternative build focuses on speed and features Heroes with a little more staying power. In this list the Bloodwarriors and Bloodsecrator hold a home objective while the knights, flesh hounds, chaos lord and daemon prince use their speed to go objective hunting. Once Im able to summon something I will hopefully have some heroes in advanced positions giving me more flexibility. Apart from the flesh hounds there is very little anti magic in this list which could leave me vulnerable. I wouldn't be opposed to dropping one unit of flesh hounds for something else but I have no idea what. I dont rate priests outside of gore pilgrims, especially one on his own, so maybe a Bloodstoker or Khorgorath would be a better fit? The alternate build looks like this: List 2: Allegiance: KhorneChaos Lord On Daemonic Mount (140)- General- Trait: Immense Power Daemon Prince of Khorne (160)Bloodsecrator (140)- Artefact: The Brazen Rune 10 x Blood Warriors (200)- Goreaxe & Gorefist- 1x Goreglaives5 x Flesh Hounds (100)5 x Flesh Hounds (100)5 x Chaos Knights (160)- Chaos GlaivesTotal: 1000 / 1000Extra Command Points: 0 All thoughts / advice / alternative lists are welcome and appreciated!